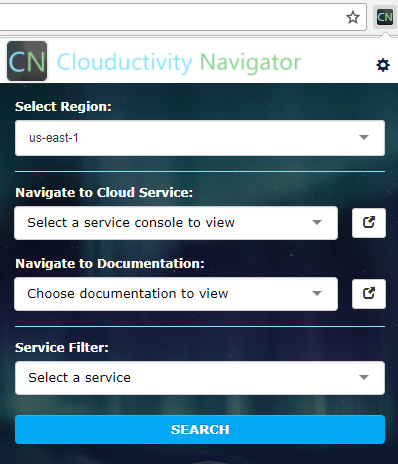 Navigate the cloud - effortlessly. Access all AWS services with one simple click. Instantly navigate to one of AWS’s services, service status page, or to documentation via a single UI. Find AWS services by tag or relevant search field. 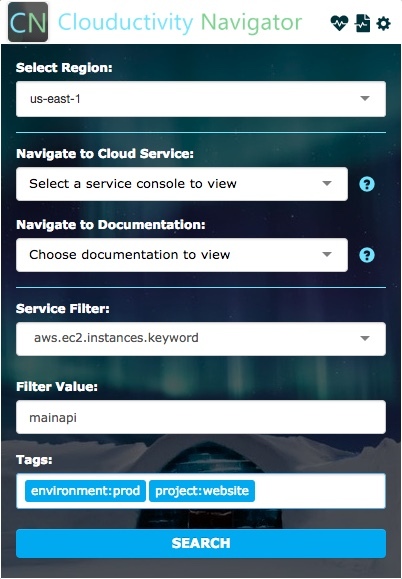 Want to view all EC2 instances with certain tags? We’ve got you covered. Access AWS documentation, SDK API manuals, and other useful resources such as Terraform for AWS and Google Cloud, and Ansible. The average cloud developer/engineer’s hourly rate can be north of $100/hr. 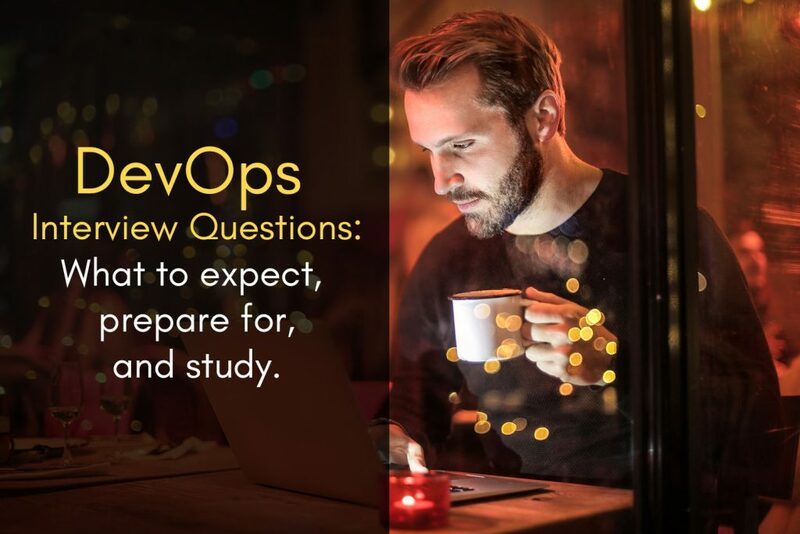 Even as an experienced engineer, it’s easy to spend several hours per month navigating the AWS console and other various cloud services, or searching for documentation resources to find what you’re looking for. 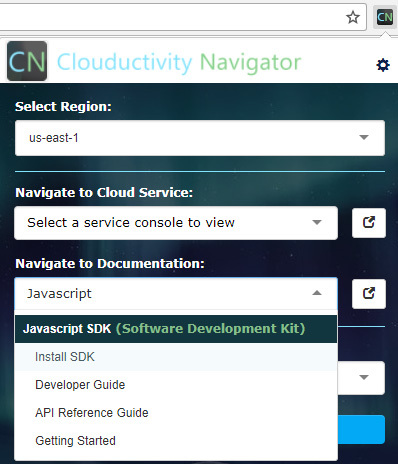 After just ten minutes of an engineer’s time saved, your business has already reached return on investment on the Clouductivity﻿Navigator Chrome Extension! 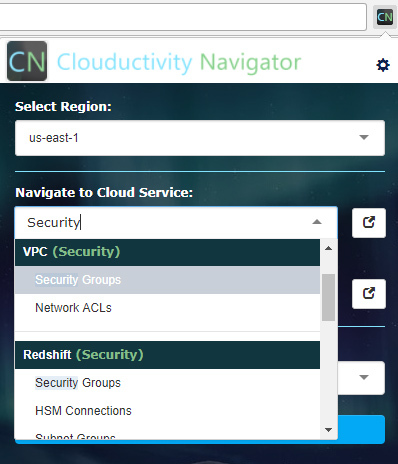 An overview of Clouductivity’s main panel. 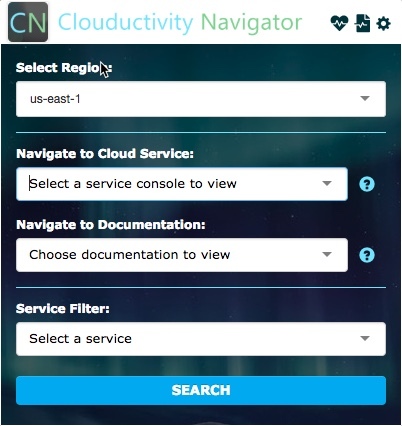 This view shows how you’ll be able to use CN to stay efficient: browse by cloud service, sift through documentation or navigate by service filter. 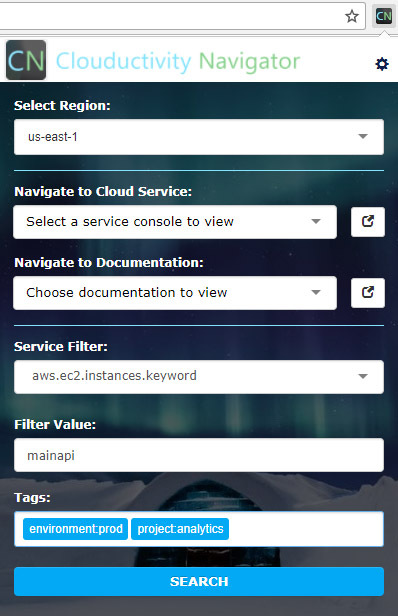 Search for AWS Services by quickly typing. Autocomplete functionality helps you find what you’re looking for, instantly. Select a region and go! 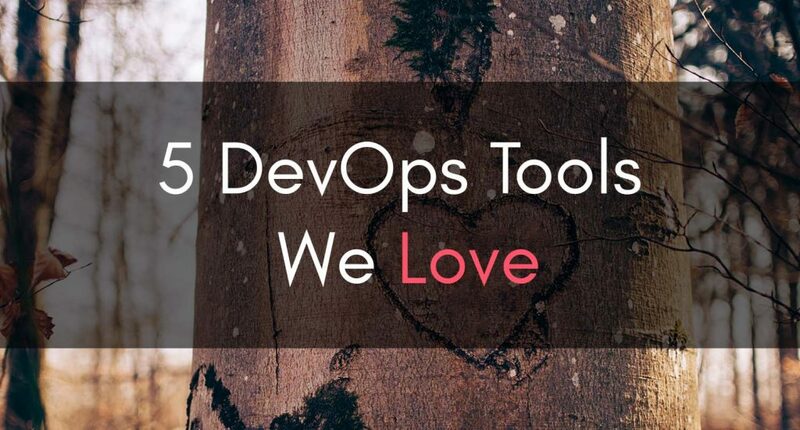 Navigate to useful documentation and SDKs for most languages. 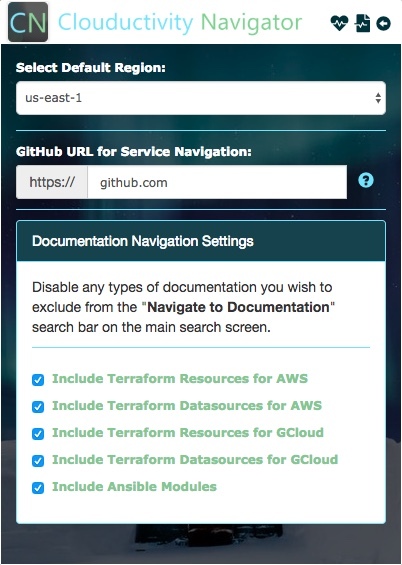 Supports Terraform resources and data sources for AWS and Google Cloud. 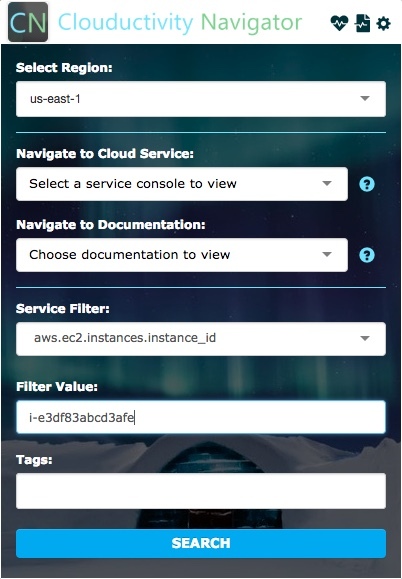 Compose your search in AWS using specific service filters and/or tags directly in Clouductivity Navigator. 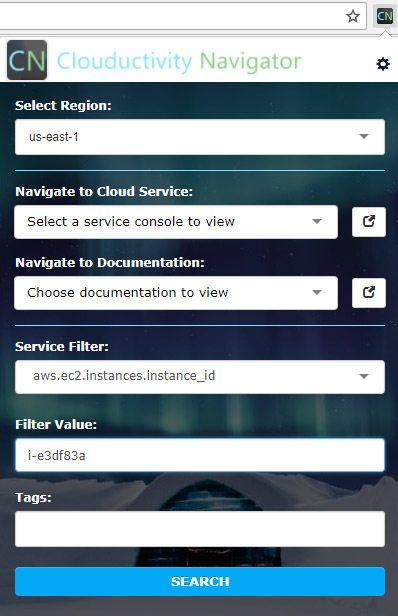 An example of EC2 Instance Filtering using tags and a wildcard search. You may supply a filter value and/or tags to navigate to your resources in the AWS Console. 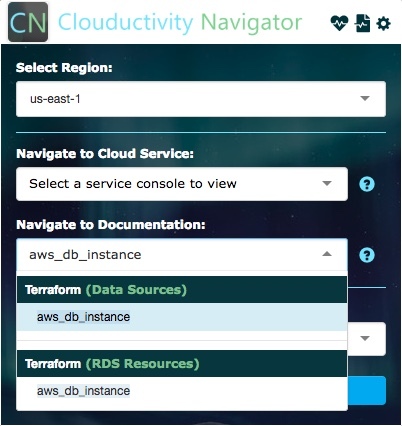 Select the AWS region you’d like Clouductivity to search within by default. You can override this on a per-search basis. Configure a custom GitHub url for repo/pull request navigation. Disable any types of documentation searches for Terraform or Ansible resources that aren’t relevant to your needs. All are enabled by default. 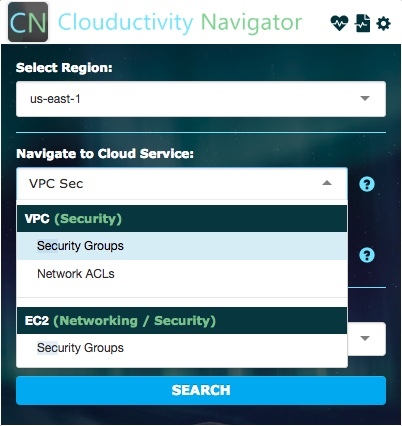 Learn﻿ how Clouductivity helps you find the resources you need, faster. 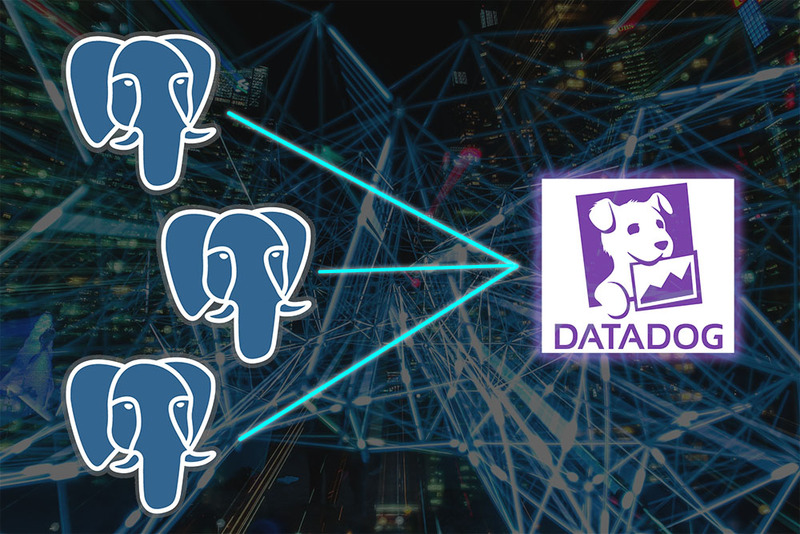 Find documentation easier than ever. We take you where Google can’t. 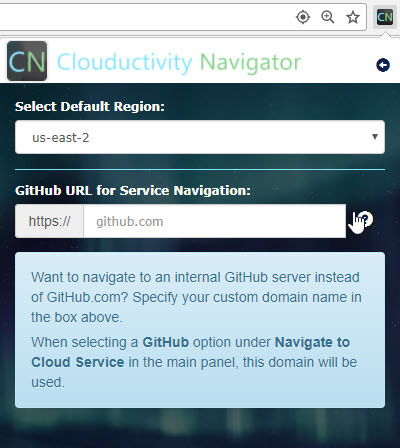 Clouductivity Navigator allows you to access documentation for AWS SDKs, Hashicorp Terraform (for AWS and GCP), Ansible and other miscellaneous AWS resources with no clicks necessary. Drop us a message with your suggestions, questions or comments, or report an issue. We’ll reply as soon as we’re able.